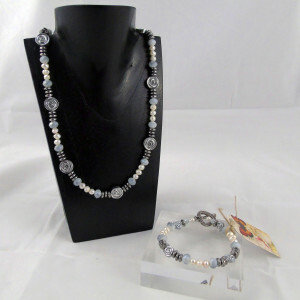 Our range of Carole Allen’s jewellery changes daily. Please contact us to find out which pieces we currently have. 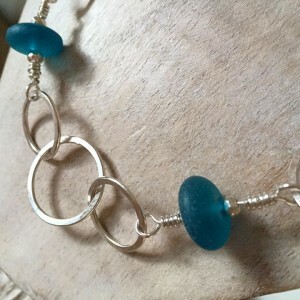 Steph Lawry uses a range of semi-precious stones to create unique necklaces, bracelets and earrings. Contact us to find which pieces we currently have. 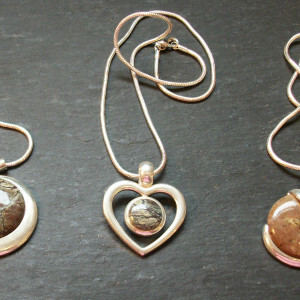 We always have a wide range of Rob Casley’s serpentine jewellery (silver plated settings) in a variety of designs and stone colours.